Over time the facial skin loses elasticity and the first wrinkles are appearing. 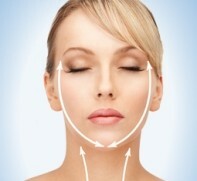 The facial lipofilling to correct these effects without risk of rejection. It involves removing excess fat from one part of the body (abdomen, waist ...) and use it as a natural filler by infiltration in the face. Leave the snuff strictly two weeks before surgery. The necessary fat is obtained by one or several incisions of 3 to 5 mm. It is normally taken from the abdomen. The aspirated fat is processed obtaining a ready to inject the fatty tissue in the desired area. The duration of the intervention varies between 30 - 60 minutes. The stay in the clinic is one night. Being a less aggressive treatment the recovery is rapid. Swelling and bruising are minimal. No scars. The advantage of this procedure, besides being less invasive, is that it produces a more natural effect in the patient. After the body absorb a percentage of the transferred fat (20 to 50%) the results can be considered permanents. Complications in this kind of surgery are very rare and there is no rejection by the patient. Exceptionally you may have infections or hematomas that resorb over time.